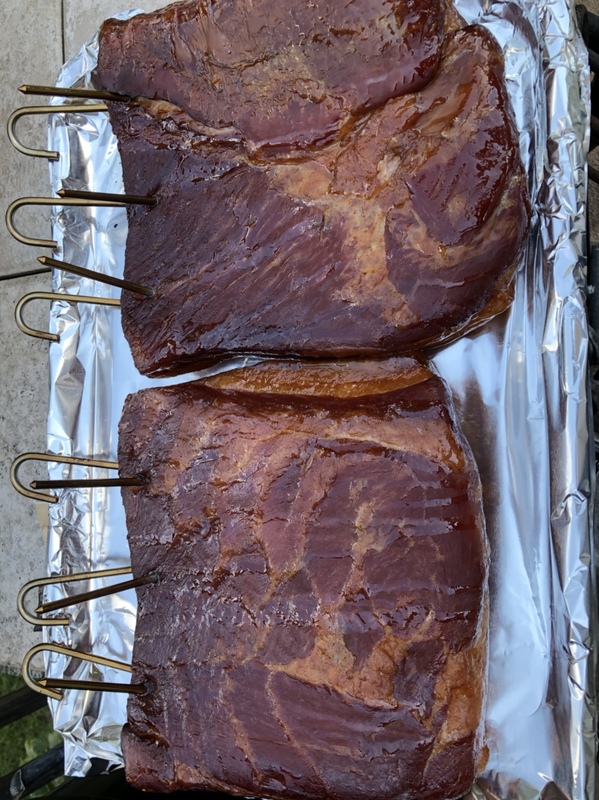 Cured it for ten daze, let it dry two daze, then smoked it over Hickory this AM. Dumb question: do you slice this into bacon or serve some other way? Yes I sliced it and cook it at 350*F in the oven. I start at 15 min and check it. I add time as needed. I have a snack in the oven now and I am at 16 min and counting. Dude, stop making me lick my phone. Very nice! I've been meaning to try this in my "spare time"
Looks phenomenal and seems easy! 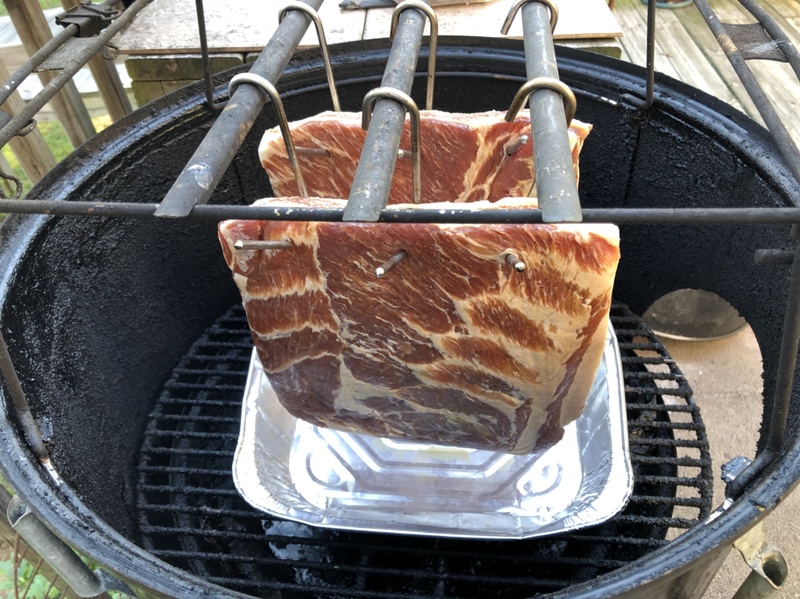 Someday I'll give a try but I don't think it would work very well in a 22" Weber kettle. 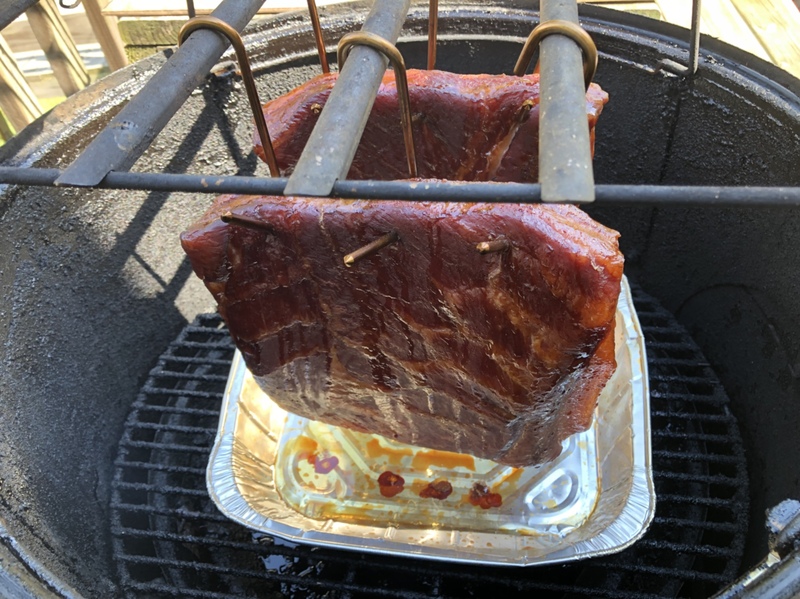 What temperature does the meat get to during smoking? 150*F. It doesn’t ‘cook’, just develop flavor. 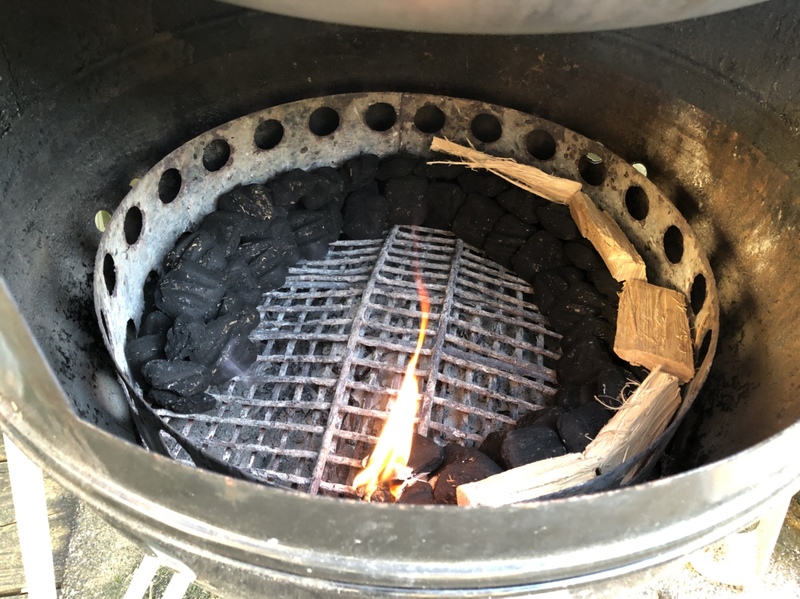 Though it has been cured, and smoked, it still has to be cooked before eating.